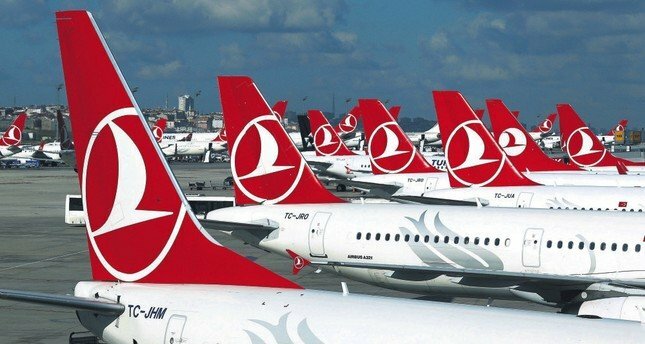 Turkish civil aviation has reached a new record with five aviation enterprises located within the top 10 exporters of services. According to a report released by Turkey Exporters Assembly (TIM), aviation businesses rose to first place in the export services list. According to TİM’s 2017 figures, THY ranked first, and Pegasus, SunExpress, TAV Airports, and Atlasglobal were among the top 10 exporters. Within the five organizations operating in the civil aviation sector as Pegasus’s third place, SunExpress’s fifth, TAV Airports’ seventh and Atlasglobal’s ninth place in the list, the development of civil aviation once again revealed highly important. Turkey, according to Europe Airports Council (ACI) Hub Connection Report of the year, compared to the first half of the last 10 years were identified as in all categories in the most flight network developed countries. The ACI’s Hub Connection Report for the first half of the year on the website of the Directorate General of Civil Aviation (SHGM) included the flight performances of airports and countries. Accordingly Turkey moved to 5th place in Europe after Spain, Germany, Britain and France, in terms of the number of connections. Reviewing January-June period Turkey was the country which increases the number of direct links most in that 5 top list, with 12%. In the first six months of the year, in the indirect flights list Spain ranked first with 10 percent growth, Turkey ranked second with a growth of 9 percent. Turkey, as in airport basis, remarked an increase of 10,6% in connection flights and ranked first. In the six months of this year, Turkish Airlines were at the top in terms of direct flights. Antalya Airport ranked first in the 1st group airports with a capacity of more than 25 million passengers with 44.8 percent growth, while İzmir Adnan Menderes Airport also ranked first in its group of 2nd group airports with a capacity of 10-25 million passengers. Esenboğa ranked second with 22.9 increase. In the period 2013-2018, Sabiha Gökçen Airport ranked first with 64% growth, while Antalya Airport ranked fourth with 45% growth in Europe. Sabiha Gokcen Airport was the first with 929% growth in directional flights since 2008, while Antalya Airport was the second with 226% growth. Istanbul Atatürk Airport was among the top 5 airports in Europe with the growth of 104 percent. In the second group of airports, Esenboğa Airport was registered as the first airport with the highest growth rate with 169 percent in the 10-year period, followed by İzmir Adnan Menderes with 131 percent growth. Turkey is developing itself in terms of aviation and investing in big projects to grow more and more. Located in the best part of the World for conneciton flights, Turkey will for sure continue its growth in the following years.